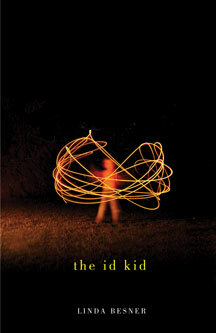 The Id Kid is a book about appetites. Linda Besner's addiction to linguistic play leads to uncommonly beautiful poems: by turns sassy and sumptuous, sparkling with mischief, and marked by deep feeling. There seems little Besner won't try. Crammed with tall tales, off-colour jokes and cockamamie theories, omnivorousness is her only rule as though she couldn't bear to exclude anything or anyone. And the result-imaginatively abundant and formally audacious-is one of the most arresting poetry debuts in recent memory. Linda Besner's poetry and reviews have appeared in The Malahat Review, Grain, The Fiddlehead, CNQ, Maisonneuve, among others. The Id Kid is her first book of poems. She lives in Toronto. 64 pp 8.5" x 5.5"